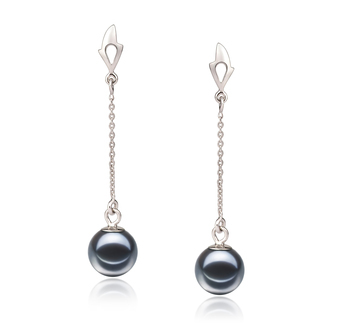 These elegant and fashionable cultured black pearl earrings are the reflection of strength, power and grace all together. 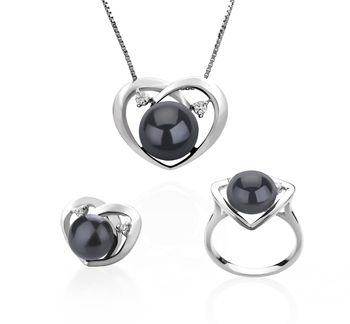 The Natasha Black 7-8mm Freshwater Cultured Pearl Earring Set is perfect for women who appreciate unique pieces of pearl jewelry. The cubic zirconia accents are placed strategically to make them shine even brighter, therefore making this pair of earrings to look like a piercing sun. 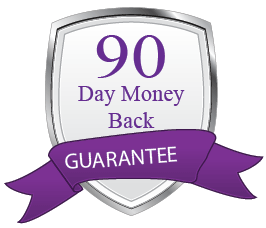 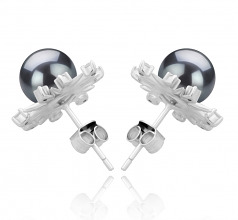 The AAAA quality displayed in its shape, luster and overall grade places them on a high spot. 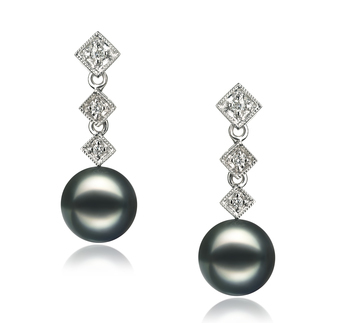 Black pearls have a touch of mystery and carry a seductive power, so this pearl earrings will transform any outfit. 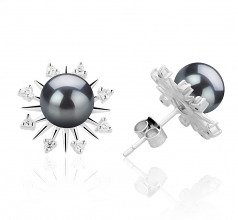 Wear them with clothes of contrasting colors in order to enhance their color. 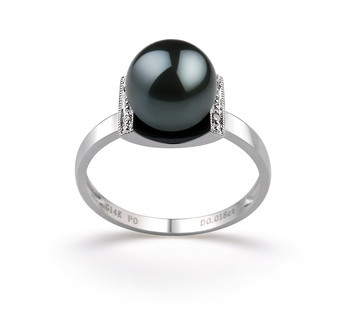 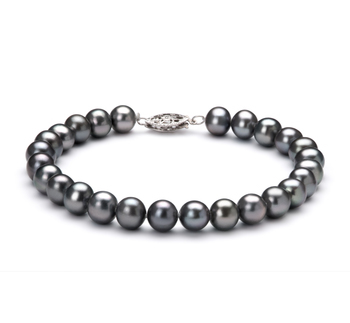 The grey and green overtones are simply amazing and ready to reflect the pearls own beauty. 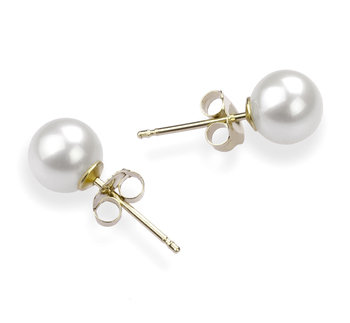 This set of earrings is also available in white, so make sure to check our entire collection of pearl earrings. 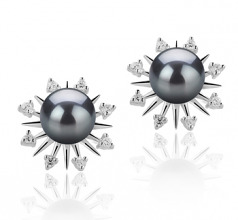 Show only for "Natasha Earring Set"